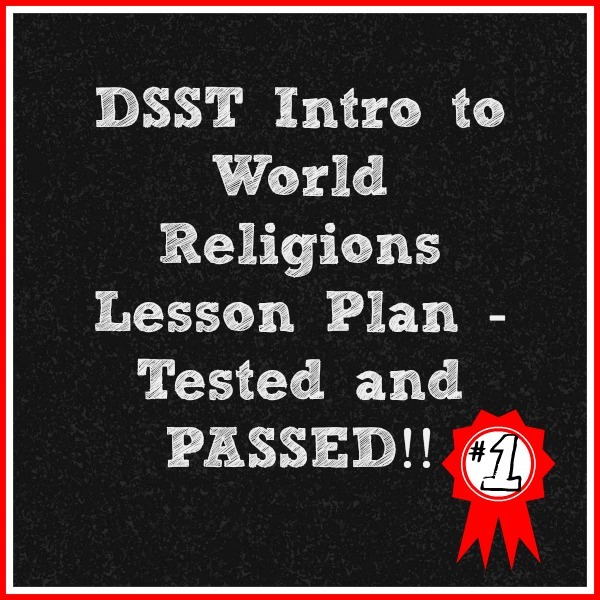 DSST World Religions Lesson Plan – Tested and Passed! You are here: Home / Homeschool / Teens / Credit by Exam / DSST World Religions Lesson Plan – Tested and Passed! 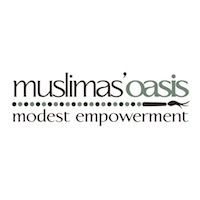 Alhamdulilah (praise be to God)! Care Bear passed the DSST World Religions exam and now has three upper level credits at the university we are aiming for, in sha Allah! I was probably just as nervous as she was, and she was really nervous when it came to test day! While most of her exams coordinate with a subject she’s covering already in her homeschool, world religions didn’t really fit into what we needed now that she’s started high school. Since it didn’t fit in to high school, the goal was to complete it over the summer. It’s November. We obviously had to work on time management a bit, but alhamdulilah, it’s done, and she passed. So, how did I put together the lesson plan? It was fairly straight forward! I went to DSST’s website, went to the Test Preparation section, found the test I wanted, and opened the Fact Sheet. Conveniently, DSST has listed the books they used to create the test, so I simply ordered those books, then matched up the chapters with what the test required. Is this teaching to the test? Yes. Do I think Care Bear still learned about World Religions in the process? Yes. I’m generally not a fan of teaching to the test, but when it comes to credit by exam, the benefit outweighs the negative. Really, if there wasn’t such a big payoff from this, we probably wouldn’t have gotten around to taking a full world religions course. 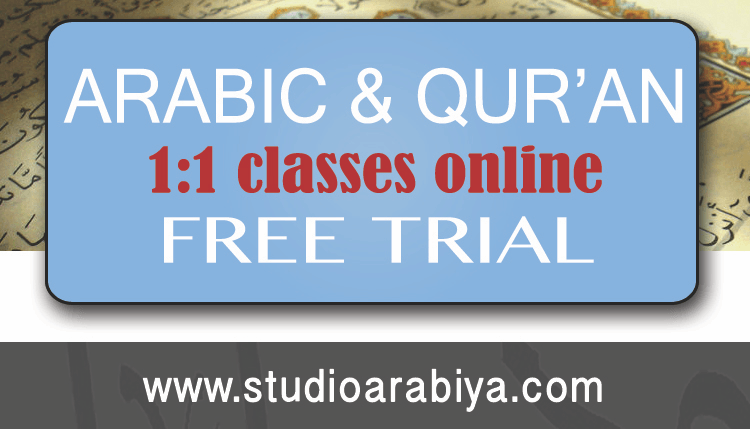 The lesson plan is laid out for 5 days per week for 6 weeks, but obviously can be used as you see fit. Each day requires 1-2 hours of reading and studying (which is why we aimed to do it over the summer, when it would be the only thing assigned). The two books are easy to find used, and therefore quite inexpensive. I also bought the free-clep-prep.com study guide from Amazon, which helped a ton, and it’s really small! On to the lesson plan! Click on the image to view the PDF. 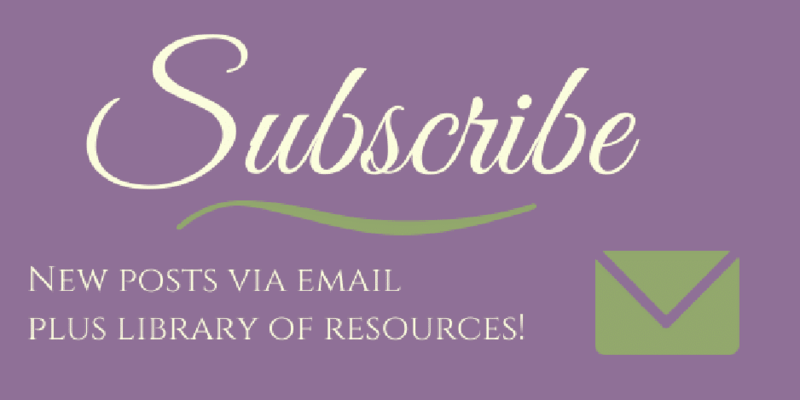 PLUS, don’t miss the note taking guides I posted earlier in the year! Please let me know if you find any mistakes, and link back to this post to share as you’d like. Jazak Allah khair (may God bless you with good)! I’d have been nervous too! So glad it worked out for both of you. Thanks! It’s nerve wracking and exciting. It keeps us on our toes!